With the depression and suicide rate climbing, Smoke Signals are using their music to remind fans that it’s okay to not be okay. The Arkansas based metal/aggressive rock band acknowledges how important it is to talk about the trials and tribulations of life and their recently released new single, "Letting Go," touches on just that. Vocalist George Rich opened up about the meaning behind the track, "It's about living with anxiety and depression along with the constant effort to overcome it, even though you're beaten down over and over. Every time you try to let go of everything from your past, somehow it always comes back to haunt you." Suicide is currently the 10th leading cause of death in the U.S and each year almost 45,000 Americans take their own lives. Those stats are continuing to rise from past years, it's imperative that we keep the communication going about alternatives that one can use to subside suicidal thoughts. With that in mind, Smoke Signals wanted to keep the crucial wisdom that suicide is never the answer. Combining a sinister intro and cinematic imagery, "Letting Go" starts out heavy lyrically and vocally before breaking into the infectious chorus that reminds us that we need to push through to make the good times even better. 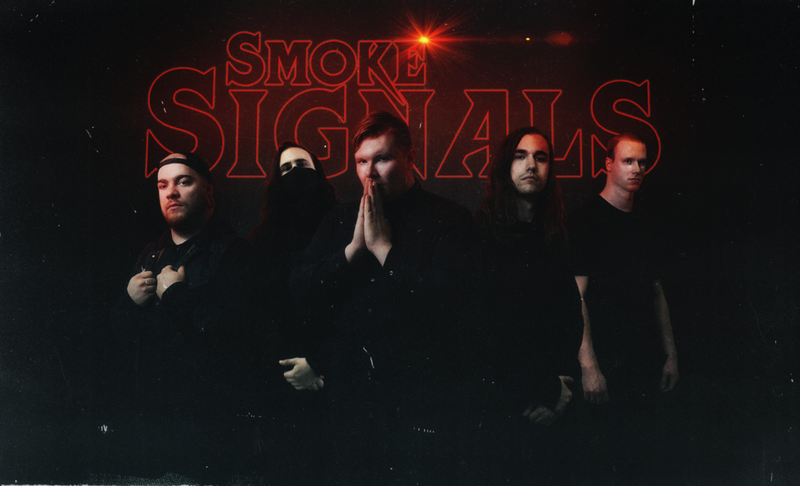 Having stayed relatively quiet and only playing select shows in 2018 thus far, Smoke Signals is ready to show the world what they've been working on behind the scenes. With hundreds of thousands of spins of their music already under their belt, the band is ready to release their highly anticipated new material out and continue on their journey. Being known for not being afraid to experiment with different elements and to break out of the cliches that the metal/metalcore genre can get stuck in, "Letting Go," is just a small preview of what the future holds for the band's upcoming release.